What type of mats do you use? 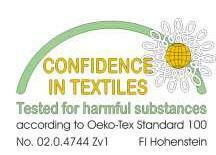 Our mats are Eco Friendly, made in Germany and tested against harmful substances for skin contact (Oeko-Tex 100 Level 2). This test is for articles which are worn or where there is significant direct contact with skin, and tests for heavy metals, DOP Softeners and other chemicals. These mats are also carefully produced so as to not emit toxic gases during manufacturing and due to their superior wear, they are less likely to end up in landfill. Do I need to book to come to a class? No, just simply come along to class, do call and have a chat if you wish before you come along. Light, supportive comfortable clothing – you will sweat – keep it simple & discreet. Yoginis – check your tights are not see-through & shirts keep you contained! Just you, we supply gorgeous big thick studio mats which experience has shown are the most suitable for Astanga yoga. After class simply follow the cleaning regime with mat spray & cloth- clean your mat & pay it forward. You are welcome to bring your own mat if you wish, some students put our mats under their own. Bring a small hand towel if you think you might need it. Never been to a Yoga Class before? Come along to our 11.30pm Saturday or Sunday class (only 1 hour). If you have a basic level of fitness and would like the challenge of coming straight into a Led Through class, please let your teacher know before class that it is your first time. Remember this is called a yoga ‘practice……..not a yoga ‘perfect’ and everyone has been a beginner, so just get on your man and do what you can. Our pricing structure reflects a philosophy directly attributable to Guruji, of practising – less – more often. We try to encourage students to come as often as possible and not try to do too much each time. Inform your teacher so they can give you variations to postures that will encourage the ongoing recuperation of any issues. You are welcome to contact our senior teacher Andre if you have any questions that arise from talking to a medical professional. Please note that our teachers are not medical professionals, so do consult with your doctor first. If you are currently practising at our studio, please inform your teacher. If you are intending on becoming pregnant or are currently pregnant and thinking of starting a yoga practice, please call Dee first. Try to avoid eating about 2 hours before class. You do sweat during the class so keep hydrated but try not to drink about 30 minutes before your class. We have a mineralising drinking water fountain for you, should you require hydration before or after class. What age can you start a yoga practice? Can I bring my child along to class? Please make contact with Senior teacher Andre or Yoga Director Dee to discuss. We must have parental consent under the age of 16. Cellphones & Talking in Yoga Room? Take a break! No Cellphones in the Yoga Room -Special concessions for ‘on call’ (silent vibrate mode)if you could just advise your teacher please. Please keep hushed tones in & around the yoga room -mindful & peaceful. What is Mysore Style Yoga? Mysore is the city in India where we travel to study at the Astanga Yoga School of our teacher (Guruji) Shri K Pattabhi Jois – www.kpjayi.org . This class is only for advanced students who have practiced the Astanga Primary series for some time. If this class time suits you come along to a couple of Led Through first before attending. Once you are familiar with the Led Through and want to commence your own yoga practice, have a talk with your teacher. Don’t want to do any of the ‘Spiritual’ stuff? There is a difference between ‘spirituality’ & ‘religion’. Yoga does not have a religious background, and spirituality is a very personal issue. 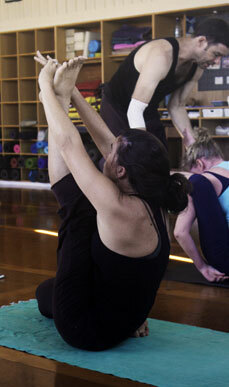 We are very mindful at the Astanga Yoga Centre of allowing our students to set their own agenda in this regard.